Woman screams at residences from the street in Vero Beach. VERO BEACH – A woman woke up several people in Vero Beach Wednesday night after she was screaming at them on 13th Place SW. The Indian River County Sheriff’s Office received a call from residents on 13th Place SW in Vero Beach about a woman yelling in the street. Amanda Ceclia Walker, 50, was standing in the middle of the road and yelling at the top of her lungs “this bit** is a fu**ing whore,” according to the report. Walker, who lives in Fellsmere, was asked to be quiet by one of the deputies. Law enforcement detected a strong odor of an alcoholic beverage emitting from Walker’s breath as she spoke. Deputies noticed she was very unsteady on her feet and swayed from side to side. Walker then shouted at deputies “that bit** is fu**ing my man, she is a whore,” the report said. When a deputy asked Walker to leave and go home, she stated “I ain’t going nowhere” and started screaming more obscenities towards the residences “Fu** that whore, she’s a piece of sh**. I hope she dies,” the report stated. 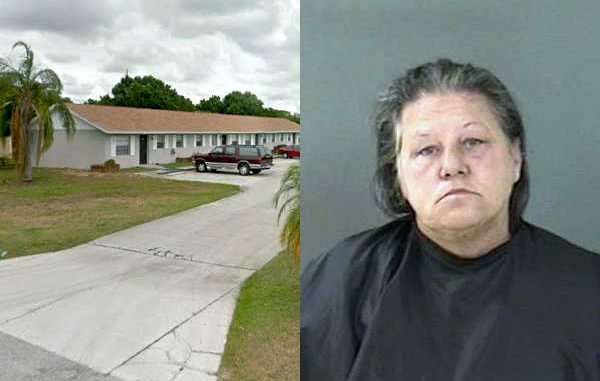 Walker was arrested and transported to the Indian River County Jail where she was charged with disorderly intoxication. According to jail records, Walker has been previously arrested on charges of selling cocaine and robbery.